The Women’s History Association of Ireland awards an annual MacCurtain/Cullen Prize in Irishwomen’s History in recognition of the outstanding contribution to Irish women’s history by Margaret MacCurtain and Mary Cullen. The prize is offered for the best original essay in the field of Irish women’s or gender history by a current or recent BA or MA/MPhil student. Eligible candidates for the MacCurtain/Cullen Prize in Irishwomen’s History should be current or recent BA or MA/MPhil students. Original essays of 6-8,000 words (including footnotes) should be based on a dissertation or research essay in the area of Irish women’s or Irish gender history submitted to any university on the island of Ireland between 2012 and 2018. Submissions can deal with any chronological period, any historical subject relating to women/gender, any geographical location on the island of Ireland, and can be in English or Irish. Membership of the WHAI is a requirement for entry. To enter, send one electronic copy of your article to the Secretary of the WHAI, Dr Bronagh McShane, at womenshistoryassociation@gmail.com Informal enquiries should also be sent to this address. Entries will be adjudicated by a special committee of the WHAI. To facilitate anonymity, please include a separate cover sheet with your personal information, academic affiliation and contact details, as well as a statement of original work. Closing date for receipt of entries is Wednesday 31 October 2018. Late entries cannot be considered. Since the purpose of the prize is to encourage and support emerging scholars in the field of Irish women’s and gender history, previous winners of the MacCurtain/Cullen Prize in Irishwomen’s History are not eligible to re-enter. The winning entry will receive a bursary of €150 and the prize will be awarded at a WHAI event (usually the annual conference) and acknowledged on social media and our website. The travel grant is named in her honour to reflect her vigorous campaigning which saw her travel widely and her intellectual and political contributions which were largely ignored in her lifetime. One travel grant will be awarded per year and applications are now open for the 2019 Anna Parnell Travel Grant. The amount for the travel grant is valued at up to €500. Please note that 50% of costs will be issued by cheque to the successful applicant in advance of the proposed trip, and 50% will be issued upon submission of receipts (to cover the entire amount of the award). If receipts total less than €500 the lesser amount will be issued to the applicant. The grant can be in whole or in part towards research related travel and can be combined with other awards. Travel must take place in 2019 and awards cannot be carried forward. 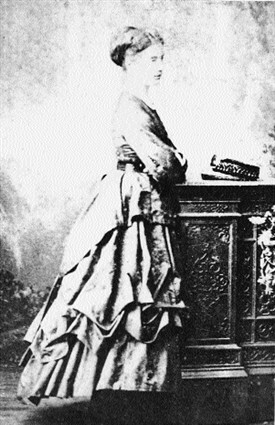 The Anna Parnell Travel Grant Award is intended to support travel for research or conference presentations related to the field of Irish women’s and gender history in any historical era. Applicants must complete the application form in full outlining their intended use of the funds. Postgraduate students must also attach a letter of support from their supervisor confirming their student status and topic of research. The travel grant cannot be used to support conference attendance without presentation. Successful applicants must credit the Women’s History Association of Ireland award in their presentations and any subsequent publications arising from the Anna Parnell Travel Grant. The travel grant is open to any scholar living in Ireland who is a member of the Women’s History Association of Ireland (with current dues paid at time of application). The award is not limited to those with institutional affiliations – independent scholars are most welcome to apply. The successful applicant must provide a 500 word account of their use of the travel grant to appear on the WHAI website within three months of the completion of travel. The cheque reimbursing the remainder of the expenses will not be issued until this report has been received. Preference will be given to applicants without access to institutional support for research related travel. The competition for the award will be judged by a select panel of the WHAI Executive Committee. Please email us at womenshistoryassociation@gmail.com with any queries and please email this application form to the Secretary at that address by 31st January 2019. Click here to download the application form.. The prize will be awarded at the annual WHAI conference. 3. The WHAI and Irish Historical Studies publication prize, 2017.